SpaceX via Flickr (public domain)One of SpaceX’s Falcon 9 rockets launching toward space. 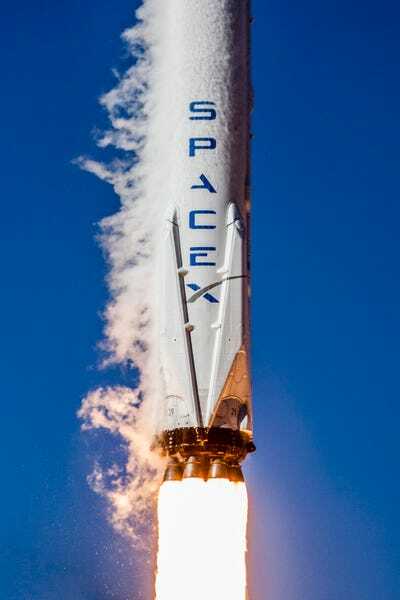 An opinion article criticising SpaceX and its rocket-fuelling procedures has appeared in multiple news outlets since July. 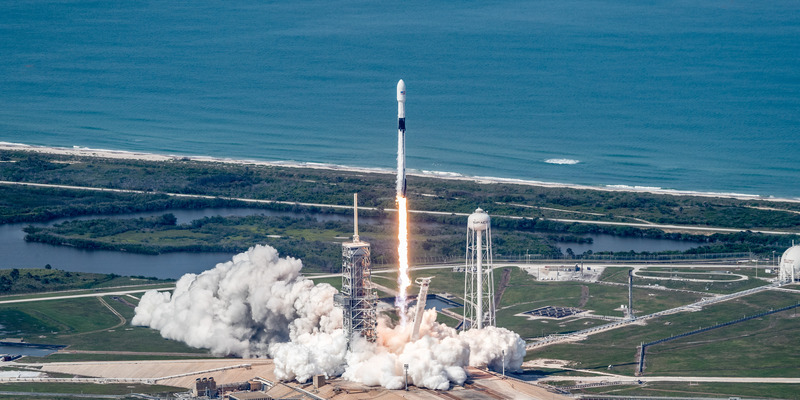 As Boeing is seeking to secure that taxpayer funding – and the prestige of launching astronauts into space – the company might be secretly placing an opinion article that criticises SpaceX in newspapers around the US. Both companies are trying to show NASA they can safely launch the agency’s astronauts to and from the International Space Station as part of NASA’s Commercial Crew Program, a roughly $US8 billion competition the agency launched to spur private companies to build safe, cost-effective, American-made spaceships. Through that program, SpaceX won a $US2.6 billion contract to develop its Crew Dragon space capsule, and Boeing has received $US4.8 billion for its CST-100 Starliner space capsule. SpaceX hopes to launch its first Crew Dragon capsule with astronauts in early 2019, and Boeing expects to test-launch its first astronauts after mid-2019. SpaceX/Flickr (public domain)A test of SpaceX’s Dragon V2 capsule thrusters. The reason that so much NASA funding is at stake for Boeing and SpaceX is that the space agency hasn’t been able to transport its own astronauts to the ISS since July 2011, when its space shuttle fleet retired. According to some estimates, each shuttle launch cost the space agency roughly $US1.5 billion, accounting for development costs. However, after nearly two years of work by SpaceX and an exhaustive review by NASA, the space agency announced on August 17 that SpaceX’s load-and-go fuelling method “presents the least risk” to astronauts. NASA approved the practice, pending some final tests. Kelly Ramesar is the name of a communications associate at a public-relations firm in Washington, DC, called Law Media Group,according to the firm’s website. LMG names Boeing as a client on its site. SpaceX/Flickr (public domain)A Falcon 9 rocket launching toward space using cryogenically cooled fuel. SpaceX, for its part, has designed safety mechanisms to protect astronauts if something were to go wrong with the load-and-go procedure. 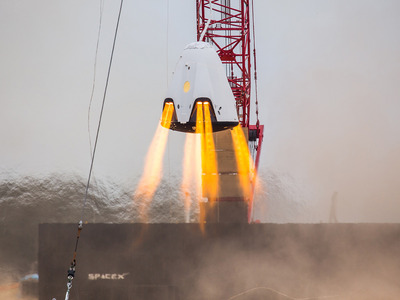 An automated escape system in its Crew Dragon capsule would, in theory, blast astronauts away from an exploding rocket if there were a fuelling mishap. Despite his criticism of load-and-go fuelling, Hagar said the strategy was not a deal-breaker – just not the approach he believes SpaceX should begin with to launch its first astronauts. He said it could create pressure to avoid calling off a launch, since doing so may incur extra expenses.